Winter time equals sweater weather, but just because we have to wear sweaters it doesn’t mean we can’t look stylish at the same time. Sweaters tend to be the opposite of cute and feminine, but there are options for all of us who are tired of oversized knit sweaters making us look like onions. This article is the perfect example! I’ve gathered here for you today, 12 very feminine and cute sweaters you can wear from day to night, and look amazing while being comfortable and warm at the same time. 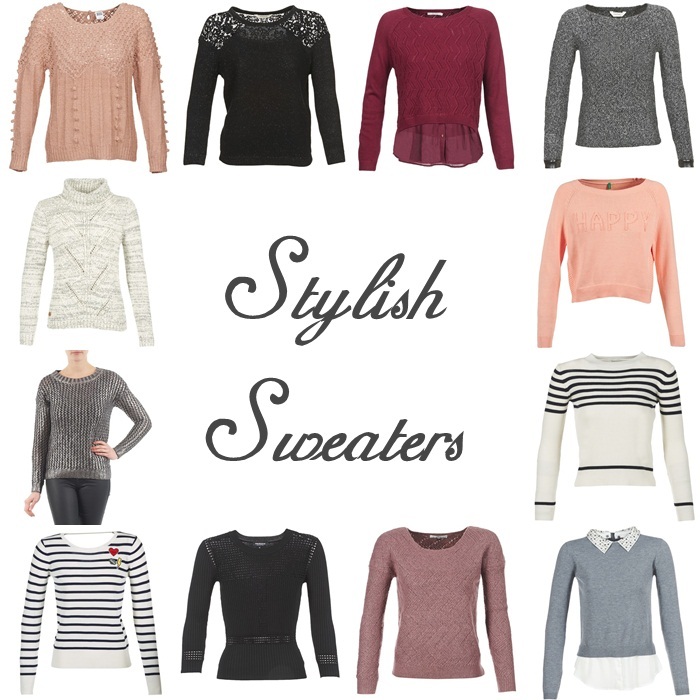 The secret is to pick sweaters in interesting patterns or cuts, or maybe ones with details that make them stand out! 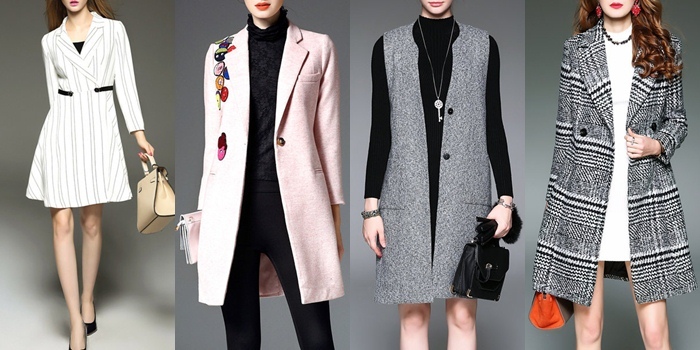 You can play it safe with black, white, beige or grey or be bold and pick brighter colors that will boost your mood. The choice is yours! The weather these days inspired me to write this post about another winter 2016/2017 trend which is: faux furs. It’s been getting chillier and chillier these days and I wish I had one of those coats to keep me warm when I go out. 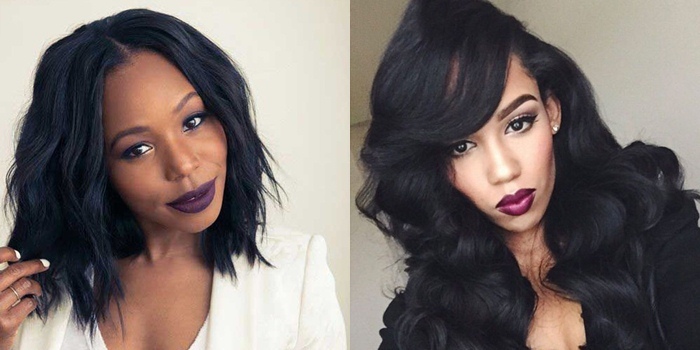 There are many ways to wear the faux fur, and keep warm this winter. 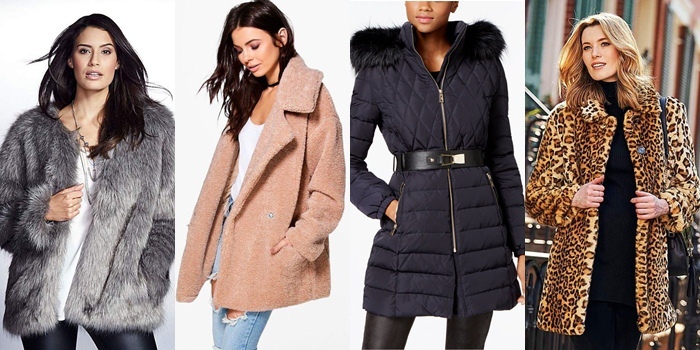 You can either go full-on furry coat, fur-sleeved jacket and/or collar, or long parka/duvet coat with fur collar/hood. Our suggestion would be to avoid the fully fur coat if you don’t want to add extra volume to the upper part of your body. Furs tend to add lots of volume and they’re not flattering to all body types. But do not worry! Because we have gathered many beautiful and absolutely affordable options here for you today, so you’ll be able to find the best one for you. We’d recommend a fur vest to add a warm layer to your outfits, or a long jacket with furry collar or hood. Either way, make sure that your fur is faux. 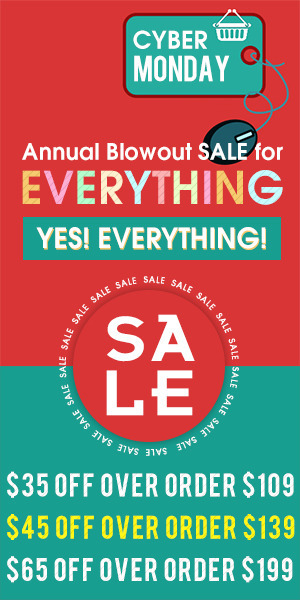 You can shop all of our choices at the end of this post! 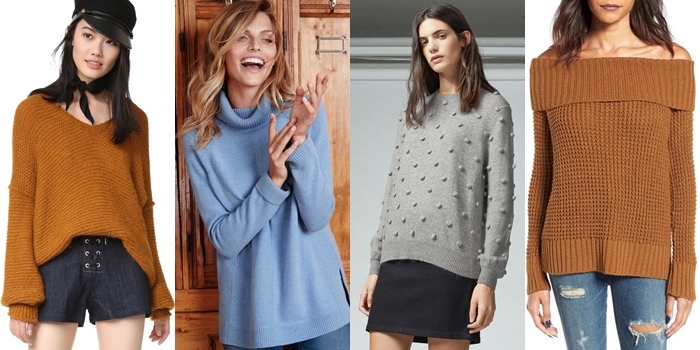 Following last year’s post about the 16 chunky knits to wear after the holidays that you seem to have liked so much, we decided to write a newer version to show you this year’s pretty knits. These types of sweaters, are more on the “oversized” side, helping you hide any extra weight you might have gained after all that holiday eating. We don’t judge! We’ve been there ourselves, and we just want to help until you’re back to your old normal self. These knits are also pretty as hell, and they’ll be really helpful now that the weather forecast has “snow” written all over it, even here in Greece. Warm, comfortable, and pretty! That’s what our readers are! Enjoy the photos. You will find all items in the widget at the end of this post. 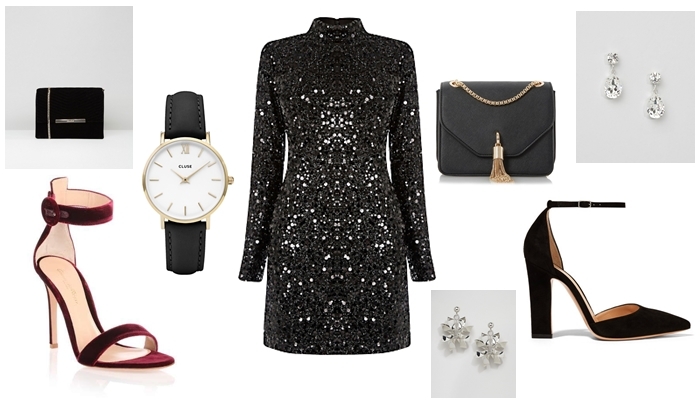 New Year’s Eve is just around the corner and if you didn’t find your outfit yet then take a look here. The best thing about the holiday season is that you can buy a new dress for those Christmas parties or gatherings, and be totally “excused”. We always want to wear something new during the holidays, especially when it comes to New Year’s Eve parties, so a nice party dress is definitely needed. As always, there are the classic choices of lace, sequins, tulle, and mesh, but this year, there’s also the biggest trend of all: velvet. Whatever your taste is, we’ve gathered here today some very beautiful but also very affordable choices to help you shop for the best dress possible this year. They’re all so pretty! Wish we could buy them all for the holidays! What’s gonna be your choice? Demi Fanni inherited her art gene from her father who was an artist. After finishing her studies in an art high school she went to college to study fashion design. While she was there, she learned the arts of fashion sketching, pattern making, manufacturing and fabrics. After her graduation she worked in a fashion studio, and soon enough, she was recognized for her good work, and promoted as a chief designer. After that, she founded her own fashion label, called D.Fanni, which among other things includes cashmere coats, floral print suits, and classic cut-out and printed dresses. Her creations are classic with a twist, incorporating sophisticated cuts into her classic and timeless designs. 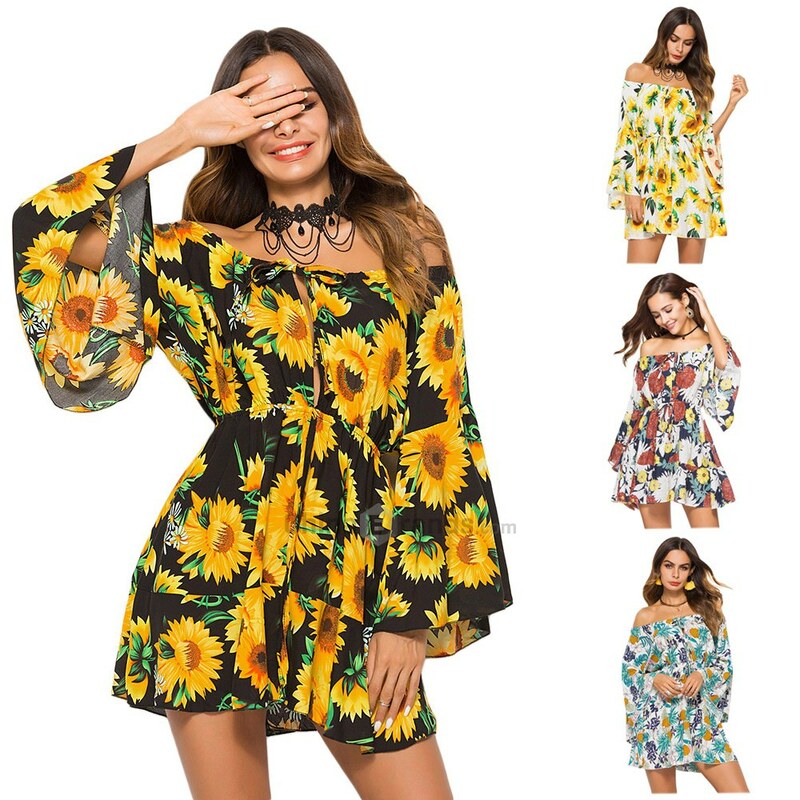 Her gorgeous designs speak for themselves, but you can find stylewe designer here, if you want to check out more pieces of her collection. You all know how big the choker necklace trend is; we’ve already discussed it and provided you with many options to choose from. But did you know that there are also choker tops you can buy, and combine your top with a matching choker necklace? Well, it’s true! And we searched and found the best ones for you! They’re all super fashionable, and totally affordable, so you won’t be breaking the bank. Wear them with a pair of skinny or flared jeans, or with a fitted skirt, such as pencil ones, for a more stylish look. When I first stared watching Youtube, one of the first people I fell in love with was Zoe Sugg, or aka Zoella on social media. I love her personality and her style. Few years ago she created her own beauty line, with products for your body and for bath time. I myself have tried some of her products and I was soooo impressed by the quality, the amazing scents and the cute packaging. 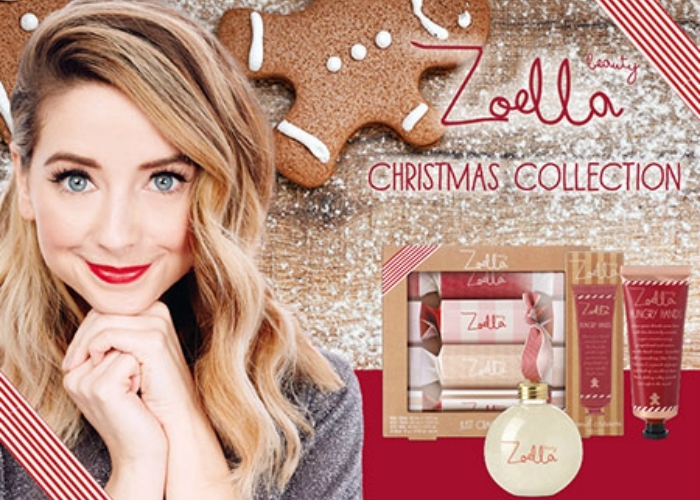 Her new Christmas range looks absolutely amazing and I couldn’t help but share it with you! Enjoy…. !